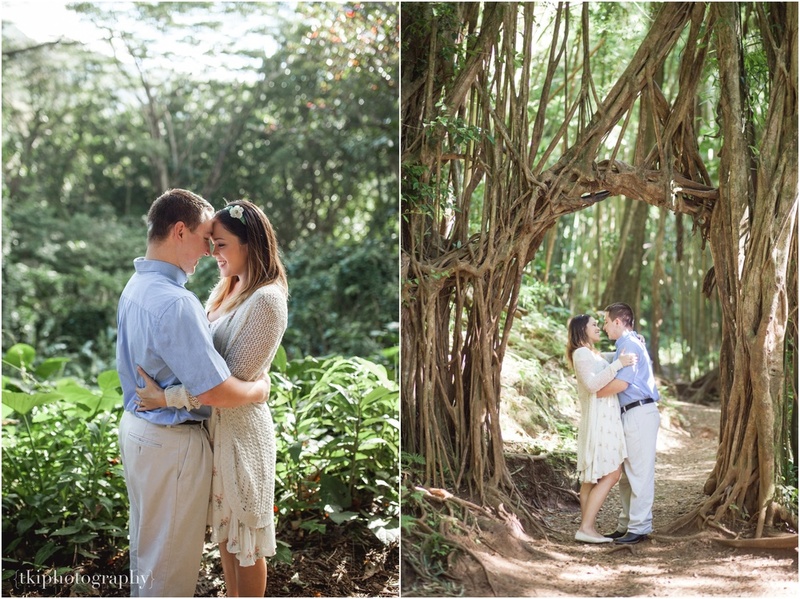 It was a beautiful morning in Manoa Falls spending an hour with Jill and Mike for their engagement session. 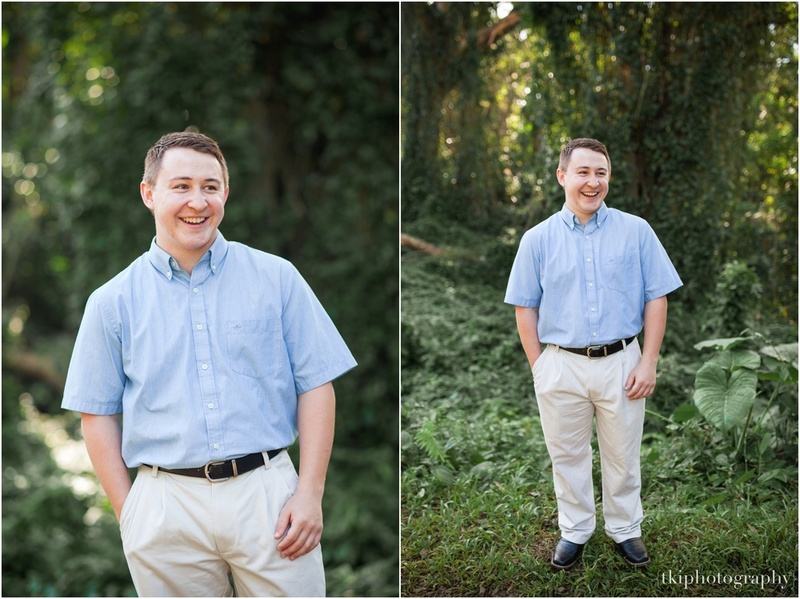 With Mikes humorous personality, I couldn't help but smile and laugh along with Jilll throughout the session! It felt as if a bunch of friends were hanging out and laughing together. 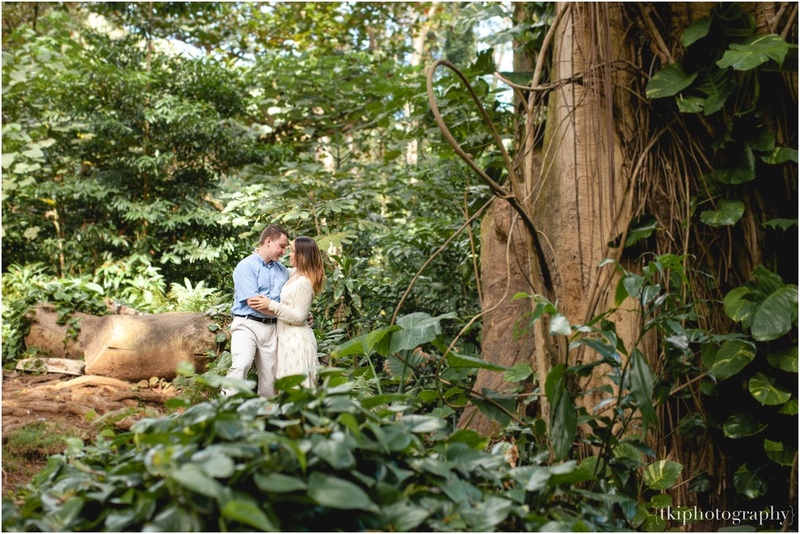 If you're the type thats okay with walking a bit to different locations on the trail, then this place is great to shoot at! 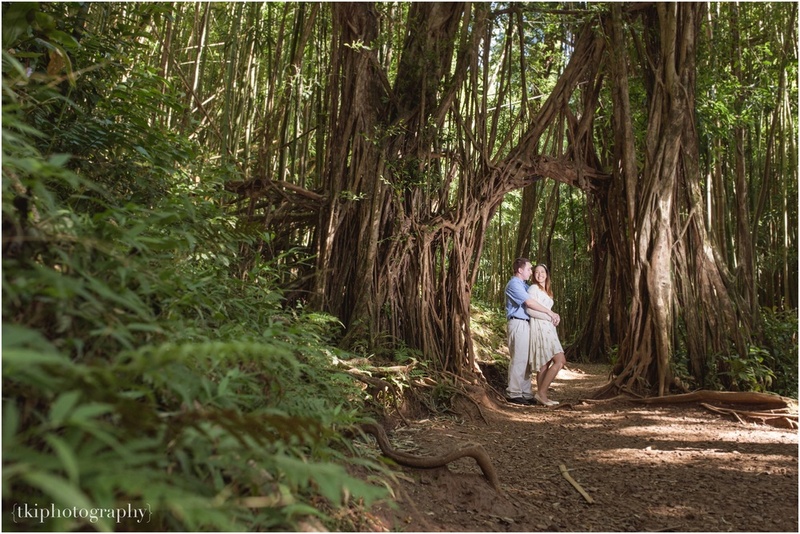 There are so many different tree formations and backdrops to choose from! We walked a bit (about 15 minutes into the trail) and found a really cool arch to shoot at!